Florence Sedlak was born in Cleveland, Ohio, a daughter of Mary Leonard and Joseph Sedlak who had immigrated to the USA from Czechoslovakia. She entered the Marist Missionary Sisters on August 2nd 1938 and made her first vows in Bedford, Massachusetts on February 2nd, 1941. Like many American Sisters who were prevented from traveling to the Pacific during the Second World War, Sr Mary Michael began her missionary life at the newly opened Hansen Home in Jamaica, the West Indies. After two years there, she returned to the States and did some medical studies at Notre Dame College in Baltimore as well as a course in medical technology in Boston. She made her final vows in Bedford, Massachusetts in 1947, and later was on the staff of our central house in Framingham. In early 1951 she finally set out for the Pacific and for Bougainville Island where she spent most of the next 40 years. At first she was at Piva, where once again she was serving victims of leprosy at a Hansen Home. After a spiritual renewal in New Zealand (1960-61) she served at Torokina, another Home for people with Hansen’s disease. She had her first home visit to the USA in 1966, and then returned to Bougainville, where she was named Regional councilor and local superior at Koromira. During her next home visit in 1975-76, she made a 30-day retreat, which perhaps helped her to prepare for the difficult task ahead of her on her return to Bougainville: to help close the leprosy hospital in Torokina. During the next five years her life took a different turn as she was stationed in Tubiana and was asked to be the Regional Financial Administrator, then the Bishop’s Secretary and the Acting Business Manager for the diocese. The Sisters who knew her during those years tell us that she didn’t forget her former leprosy patients, but continued to seek them out and try to assure that they had what they needed. They also tell us that she was well known for her wonderful hospitality to the Sisters and other missionaries passing through. As one said, “She made you feel that you were doing her a favor by visiting.” Besides caring for the needs of the local people, she also reached out to the immigrant Chinese community, and she is still fondly remembered by them. In 1989 Sr M Michael was assigned to Australia and did parish ministry in Goodna, in Queensland. In 1992 she was invited to make a Marist renewal in Rome, which included a pilgrimage to the Marist places of origin in France. Afterwards she came home to the USA and was transferred to the North American Province. Once again, Sr. M. Michael was ready to give service in the communities in which she lived: at Lexington (1992) and at 62 Newton Street, where she was coordinator of the third floor community (1994-1996). She also went to Jamaica for three months and to Memphis, Tennessee. In 1997 she went home to Cleveland to help in the care of her sister who was very ill. 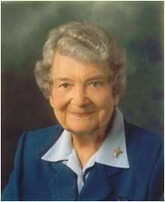 In 1998 Sr Mary Michael joined our Sisters in Rocky Creek Village in Tampa Florida. Once again she became well known for her hospitality. She enjoyed inviting other senior residents of the village to her unit for a “bite to eat” and some coffee. Her “breakfast club” still misses her. In 2007, as her health began to decline, Sr M. Michael moved back to Massachusetts. This time she went to the assisted living facility at Marillac. She enjoyed her life there with other SMSM as well as Sisters from other congregations. Despite the difficulties she was having with mobility, she only reluctantly accepted to move to the Elizabeth Seton Residence (the nursing home section of the same facility) last November. In February she celebrated the 70th anniversary of her religious profession, along with many jubilarians at the Marillac residence. She was happy, relaxed and engaged in conversation with others – she seemed much younger than her age. In the last weeks she suffered from congestive heart failure and from ulcers on her legs that would not heal. She was surrounded by friends – especially Sr M Michaeline, who came from the same home parish in Cleveland, shared the same cultural heritage, and had been with her in Bougainville as well as in Marillac. On the Saturday before she died many Sisters from Waltham also went to visit her, and some of us were present when she received the sacrament of the sick. She died in the early hours of Monday morning, April 18th. We will certainly miss this joyful and outgoing woman who made so many people feel “at home”. We pray through the intercession of Mary our Mother, for the grace of following her example of generous and selfless giving to others, especially those most in need, so that one day we may all be welcomed to the heavenly banquet.